SysWOW64 elimination can be harmful to the OS. Don't do that! 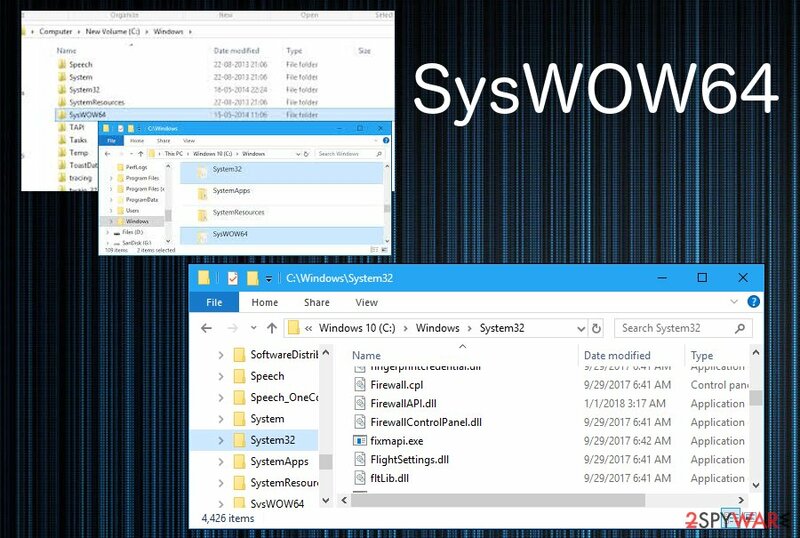 SysWOW64 is a folder placed on a system of Windows OS supporting devices that might be corrupted if causes memory issues. SysWOW64 is NOT a virus. It is a legitimate folder filled with system files and used to make the use of 32-bit programs on Windows 64-bit version possible. This process goes along with System32 Microsoft Windows directory which is responsible for managing 64-bit files. The main reason why users have been calling SysWOW64 virus because sometimes it takes lots of system's memory (40 GB or so). However, we do NOT recommend removing this folder from the system because that's why you can run 32-bit applications on 64-bit Windows version. If you have serious doubts about this folder, make sure you double check your computer system with the reliable anti-spyware to see what is hiding on it. There is a chance that malware developers decided to misuse SysWOW64's name to hide their malware, e.g. cryptominers, on the system. In short, the main purpose of SysWOW64 subsystem is to create a 32-bit environment that helps 32-bit applications run on 64-bit Windows without modifying anything. It contains .dll and .exe files that are pointed to needed directions without user's interruption. For this procedure, Windows is using file system redirector. wow64cpu.dll – helps to switch the process from 32-bit to 64-bit mode. However, as we have already mentioned, people tend to complain about the size of the SysWOW64 folder. 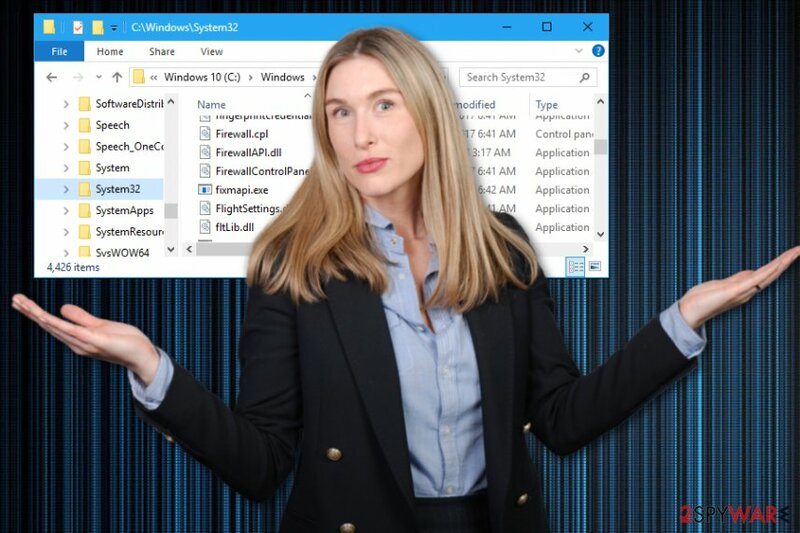 While in most of the cases it takes only a few gigabytes of PC's memory, several users have complained that C:\Windows\SysWOW64 is up to 40GB. As a result, the computer can start running slow or sometimes even crash down. There is a possibility that malware developers have misused the name of this system's component to help their malware to stay undetected. However, a full system scan with reliable anti-spyware or anti-virus program will help you determine the real intentions of this component. However, you should NOT remove SysWOW64 from the system if a full system scan with Reimage or another security software claims that there is no malware on the system. SysWOW64 removal might be dangerous for the normal system's functionality since this is a legitimate folder used by the Windows operating system. If the scan comes up with a list of viruses, take care of them at first, reboot your computer and check your computer's state. If you can still find this folder after letting the anti-virus take care of malware hiding on your computer, you can be sure that it is safe. SysWOW64 is a process that runs on Windows and is legitimate, so cannot be easily deleted. But you need to examine the folder and process further if you have CPU or memory issues because of it. Since the executable files and DLLs can be found running in the background, users can spot the malicious program, e.g., cryptominer, on their computer. 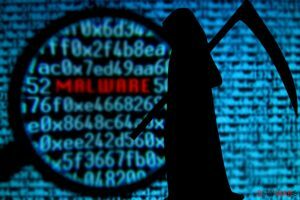 To prevent this from happening, cybercriminals have started using the names of legitimate files to help their viruses masquerade and avoid the termination. Researchers note that not every process running on the Task Manager is safe and you need to be concerned if the file takes a lot of space or uses a visible amount of your computer's CPU. It is highly advisable to scan the system with updated anti-spyware to check the trustworthiness of the file. Most often, these files infiltrate systems unnoticed after tricking the victim into clicking the malicious link or ad. Additionally, the system can be infected thru spam email attachments which are typically presenting themselves as business reports or important notifications from financial/governmental authorities. Once downloaded, these files launch a certain code responsible for downloading the threat to the system. Keep your anti-malware tools up to date and try to scan every downloaded file before opening to prevent unexpected infiltration! Do NOT remove SysWOW64 from the system if you want to avoid issues related to your Windows OS functionality. Typically, Windows uses several guards to prevent users from doing that. If you are having issues without your PC system, you need to scan the device fully with Reimage, Malwarebytes MalwarebytesCombo Cleaner or Plumbytes Anti-MalwareMalwarebytes Malwarebytes and see what is hiding there. If there is any malware on your computer, it is probably using an almost identical name to this folder because it is seeking to hide from your eye and prevent removal. In this case, remove all components reported after the scan but don't touch the original SysWOW64 folder. Otherwise, you can run into serious issues regarding the whole performance of your PC. If you are still thinking about SysWOW64 removal, you can try performing a clean boot via system configuration. ^ What is Syswow64? Should I delete it?. Tom's hardware. The authority of tech. ^ File System Redirector. Microsoft Windows Dev Cneter. This entry was posted on 2019-04-01 at 00:02 and is filed under System tools, Viruses. You can quickly scan the QR code with your mobile device and have SysWOW64 virus manual removal instructions right in your pocket. 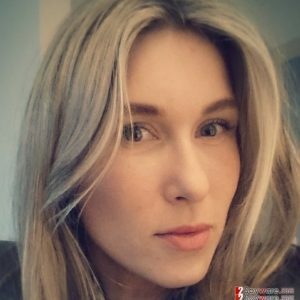 How did you remove SysWOW64 virus?